Discussing the basic principles of forage-livestocks in the previous section provided the general thoughts of a forage/livestock manager but it is also important to realize that forage/livestock operations are only one segment of agriculture in general. Although much emphasis has been placed on the benefits of sustainable systems and agriculture that is less destructive on the environment, forage-livestock systems must be viewed along with crop production, timber sales, drug production, and other agricultural pursuits. Agriculture also is just a part of larger systems. Social, cultural, and economic facets will influence agriculture just as agriculture will have an impact on society and cultural mores, economic swings, and social progress. The individual success of forage-livestock managers of beef operations will not be the crucial factor if society turns to vegetarianism. Former tobacco growers may turn to forage production if trends continue to penalize tobacco production. Taking a close look at an individual operation will require more than a long glance at the total agriculture future within a society. Some feel that future will require more farmers but current conditions do not often favor the single farm. In general, they feel people are not connected to the land as we once were and that change has caused major social problems. The two main ways to look at agriculture has been economically and ecologically. But there is a growing trend to look at agriculture from a social viewpoint. Can a return to the family farm bring about a better social order? Can it be economically successful? Can individuals take proper care of the environment? 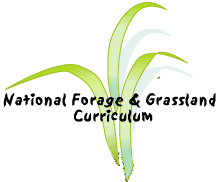 Forage-livestock production is at the center of these discussions because it contributes to sustainability and oftens turns the family to working and living together. Are forage-livestock systems better than crop production by large company-owned farms? When developing and maintaining a forage-livestock system these questions should be pondered.